It was 11 pm when my future sister in law (fingers crossed) decided to curl hair for majority people in our house (even my brother with his “man bun” hair signed up for this —-> watch him in the video below). It was summer and it was fun family get together weekend so nobody could say no. When Roneta (FSIL) said she will curl hair using straws I personally didn’t take her seriously. Prepare your hair by combing and making it damp. Pick one small section of your hair and gently twist (showed in the video below). Roll the twisted hair section on the straw and do a tie. We used THESE STRAWS as they are quite bendy. Do this until you run out of hair to twist. Keep the straws in overnight or for at least 6 hours. Remove straws by untying the tie you made. We used scissors on the straws that we could not easily untie it. 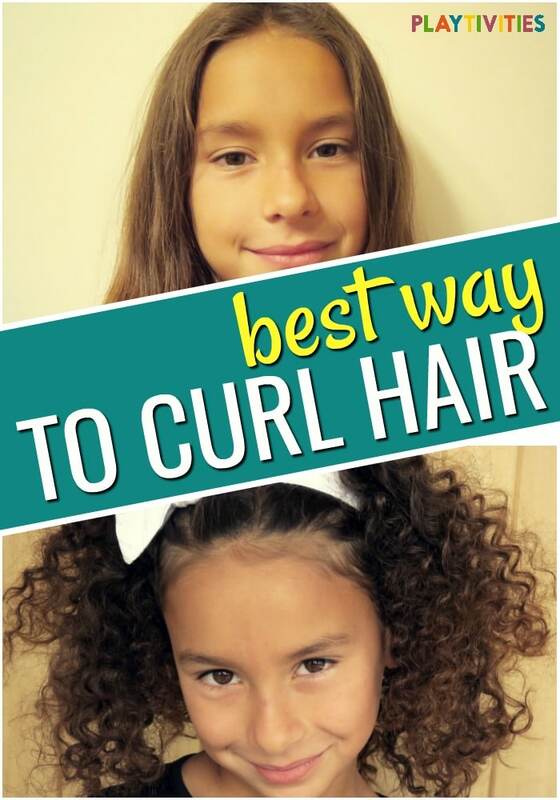 Once you unroll the curls from the straws you will have these clean, spiral curls. You can leave them as is or you can open up the curls and have a “puffy hair” look. Voila! You’ve got stunning curls. Now it’s time to style the curls the way you want it using your favorite hair products. To everybody’s HUGE surprise the curls were super curly and beautiful! Even my brother looked good with them. I love this alternative straw curling method a lot more than using curling irons, which are difficult to work with and may damage your hair, especially young child’s hair. Would you try and curl your hair with straws? If you do, please share with us how you’ve liked it in the comments below.